Courtesy photo Planning for this year’s “In Step for Kids” 5K Walk Run to benefit Big Brothers Big Sisters are (from left): Shane Fether, BBBS enrollment and match specialist; Alicia Heister, CSB branch supervisor; Kelly Dixon, CSB loan officer; and Beverly Honstine, Sheetz Inc. store manager. 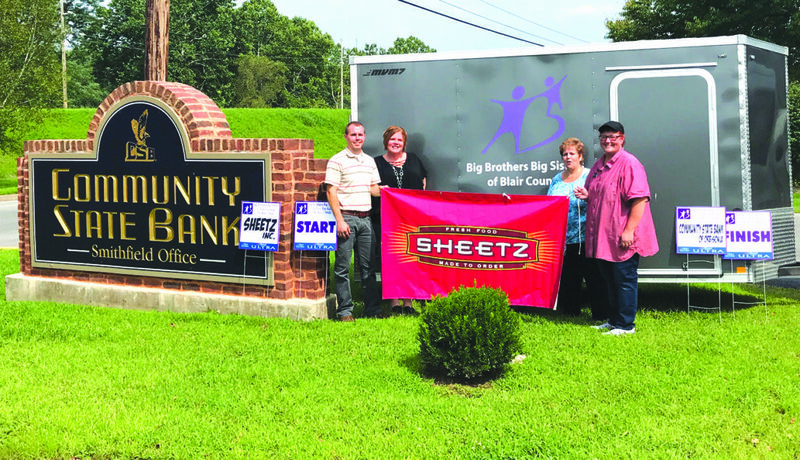 Community State Bank of Orbisonia, Sheetz Corp. and Big Brothers Big Sisters will hold the annual “In Step For Kids” 5K Walk Run at 2 p.m. Sept. 9 at the Lower Trail near Alexandria. Registration begins at 12:30 p.m.
run at a slower pace individually or with their families and friends. Infants in strollers, children/adults on bicycles and pets on leashes are also welcome. Awards will be given immediately following the 5K race in designated age groups which are listed on the registration form. All proceeds from the 5K support Big Brothers Big Sisters Huntingdon Program, a nationally recognized youth mentoring program that matches local volunteers with local kids. Registration and sponsorship forms available are available by calling 643-6955, emailing info@bbbsblaircounty.org or on the event page at www.bbbsblaircounty.org. 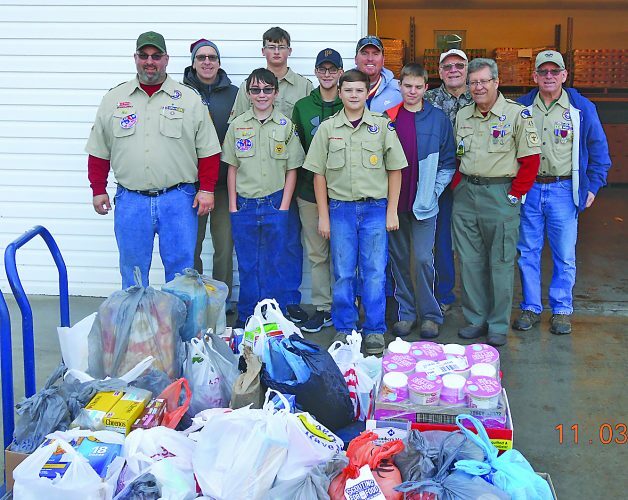 This annual Big Brothers Big Sisters event helps sustain youth development activities and match support for community-based mentoring in Huntingdon County. It also supports Students and Mentors Achieving Results Together (SMART) High School Big programs at Huntingdon County School District and Southern Huntingdon County School District along with a Juniata College Student’s SMART program held Thursdays at the Standing Stone Church of the Brethren in Huntingdon.